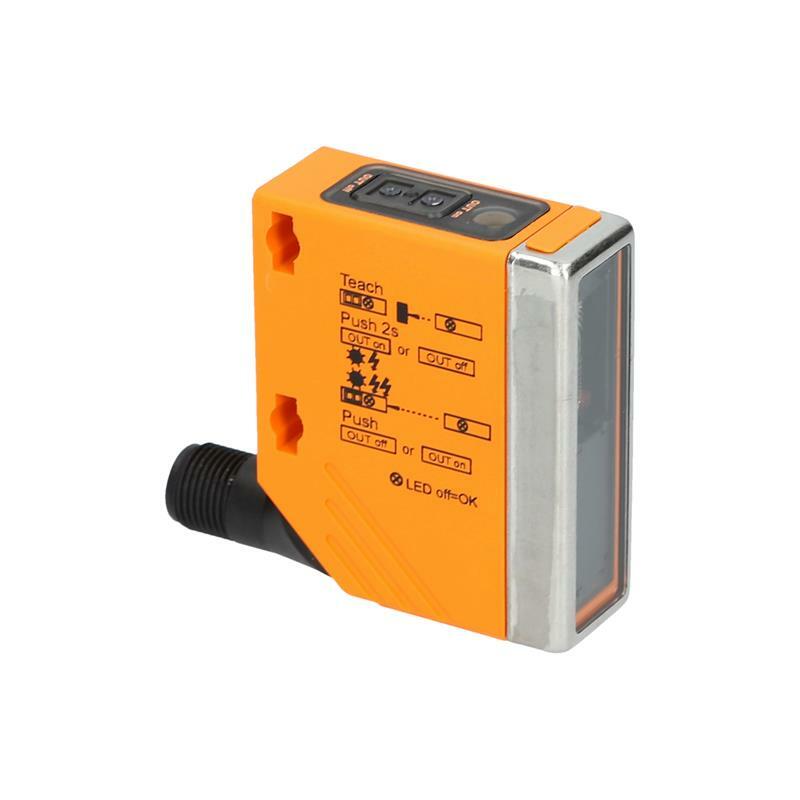 The receiver of the through-beam sensor O5E500 - O5E-FPKG/US from ifm is very robust due to the high protection rating IP67, and can be easily set thanks to the innovative teach method. 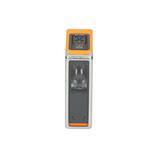 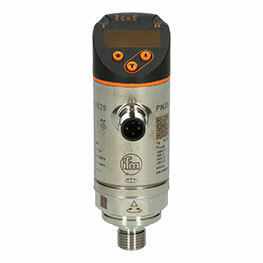 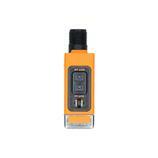 The unit features one button each for setting a precise on and off state. 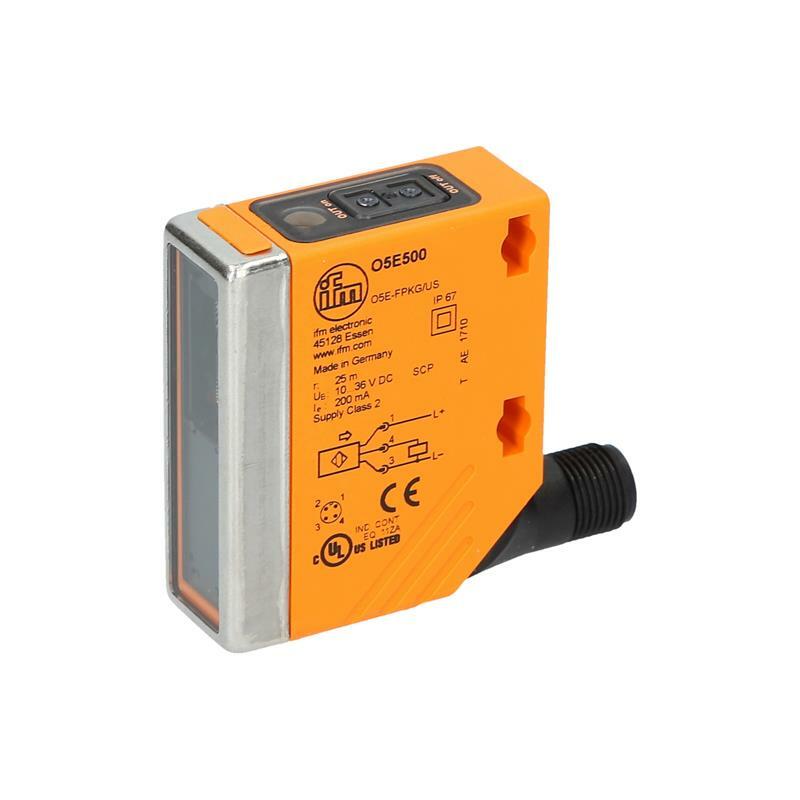 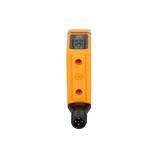 The receiver of the through-beam sensor has a long range of 0-25 m and a selectable light-on/dark-on switching. 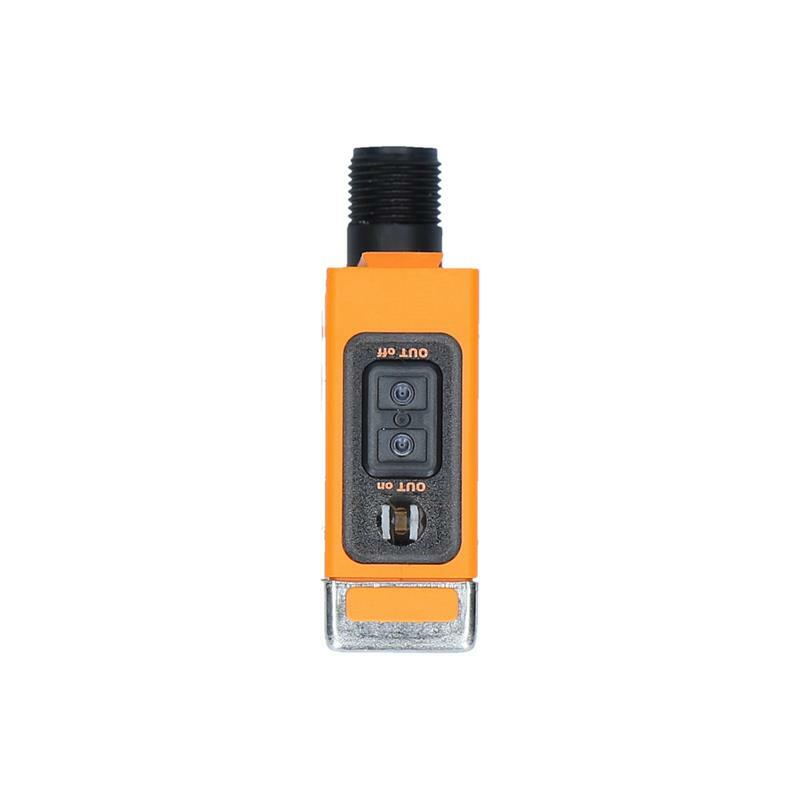 The sophisticated mounting accessories and the M12 connector, which is rotatable by 270°, enable easy adaptation in your application. 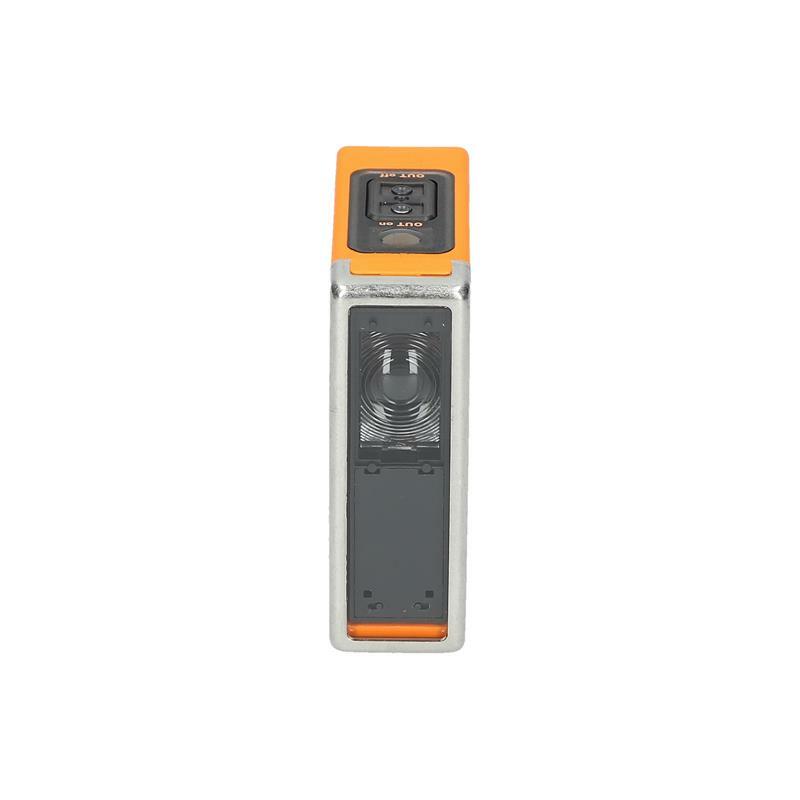 The receiver of the through-beam sensor O5E500 - O5E-FPKG/US with matching transmitter is the perfect solution for position detection in packaging and conveying.